College is where you set yourself up for success in the real world, and a big part of that success is going to involve managing your money effectively. Financial stability is essential if you want to reach your goals. It also keeps you sane and helps you avoid stress and stress-related health problems. So you want to start doing things in college that help you create a financially stable world now. The first step involves budgeting. You can learn the basics in Budgeting Made Easy, but as a student you have some unique concerns that you only face while you’re in school. This section covers those concerns so you can make an effective budget that works for your current lifestyle. As a student, you can have income sources that you won’t have at any other time in your life – namely, parental support and financial aid. Whether your parents are supporting you partially or completely, it’s a good idea to set how much money you have available every month. Even if your parents just give you money when you ask, work backwards and take an average of your monthly expenses to see how much you really need. Setting a specific dollar amount will help keep your own spending in check, as well as help your parents balance their budget. Another challenge in budgeting at school is that you may not be fully responsible for paying certain expenses. Your parents may be covering certain costs or paying some of your bills. You can also be splitting bills and expenses with roommates. Noting both of these numbers is important for balancing your budget now. 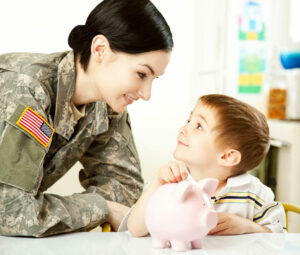 It can also help in estimating what you’ll need to earn when you finally get out on your own. Don’t fall into a credit trap. If you have a credit card or sign up for one when you get to school, don’t treat it like free money. Falling into serious debt problems before you even get into your career of choice is a recipe for financial ruin. If you have credit, use it for emergencies – midnight pizza runs are not an emergency. Consider working if you’re overspending. If you’re tapping your parents out every month but can’t find any way to cut back, do the responsible thing and get a campus job or part-time position off campus. Driving your parents into debt to support a lavish college lifestyle isn’t doing them or you any favors. 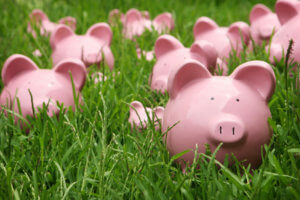 Find new ways to save on education costs. Local businesses, nonprofits and even some of the organizations you join when you get to school may offer special grants and scholarships. Never stop looking for ways to cut your education costs. Don’t keep upping the money you receive from student loans. Student lenders are more than happy to allocate even more money so you can get an off-campus apartment or eat out every day. But there will come a time to pay the piper, and living large now at the cost of future financial stress is another formula for disaster. Go to class. Not attending classes you’ve paid for is throwing money away. It’s even worse if you start dropping classes, because you can affect your financial aid and lose scholarships if you slack off too much. Take advantage of on-campus services. Use your meal plan as much as possible, use campus gyms instead of paying for a membership and use campus health facilities. Ask student services about other free programs that may be available at your school. After a few years at school using the tips above, you should have a pretty good handle on the basics of budgeting. The next step is to successfully transition your budget and finances for your life after school. Beware of new accounts and bank fees. Once you graduate, student accounts and student credit cards may need to be changed over or may upgrade automatically. Make sure to see what’s going to happen to your accounts once you graduate and ask about any new fees, credit limits, or minimum account requirements that could throw you a curve. 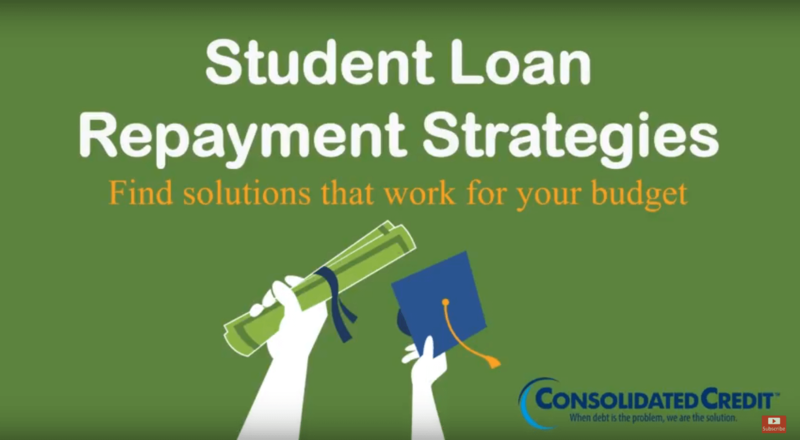 Know what to expect with your student loans. Most loans will start asking for payments about 6 months after graduation. That gives you six months to find a full-time position so you have money available to start reducing the debt. If you are having trouble finding employment, don’t wait to ask for deferment so you can avoid credit penalties caused by missed payments. Calculate the income you will need. The last thing you want is to realize your new job won’t cover your minimum living expenses, so take stock of what you’ll need. If you’re moving to new housing, make sure to factor in your new rent and any changes in your utility costs. Don’t be afraid of interim employment. If you can’t find a job in your chosen field, don’t just sit back and wait for one to become available. Get some type of job – even if it’s part-time – so you can start earning immediately. Treat finding a job like a full-time job. Spend just as much time looking for a job as you would spend working once you find one. Post your resume everywhere, look for positions, set up online alerts and be as proactive as possible to get ahead of your competition.